Here's looking at you! Well, looking at me and with that intense stare, "Me" didn't stick around for long! 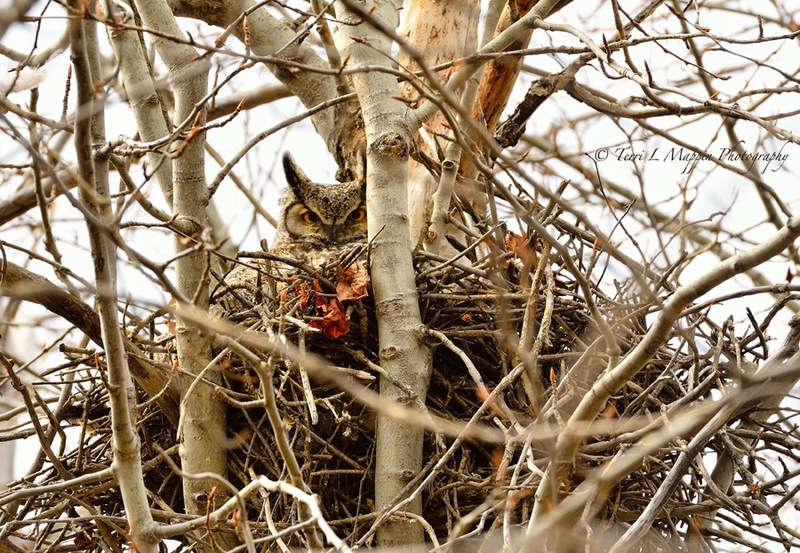 Mama Great-Horned Owl is nestled in on her owlets and its a good thing ... SNOW is in the forecast for tomorrow! Isn't she beautiful? I love Great-Horned Owls ... I can't wait to sneak a peek of the owlets! we also have some in our area, but i have not seen where they nest. Very exciting! I have been one hunt for an owl's nest. I think I have found one but have to ask the property owners if they will allow me to trespass to take a closer look!